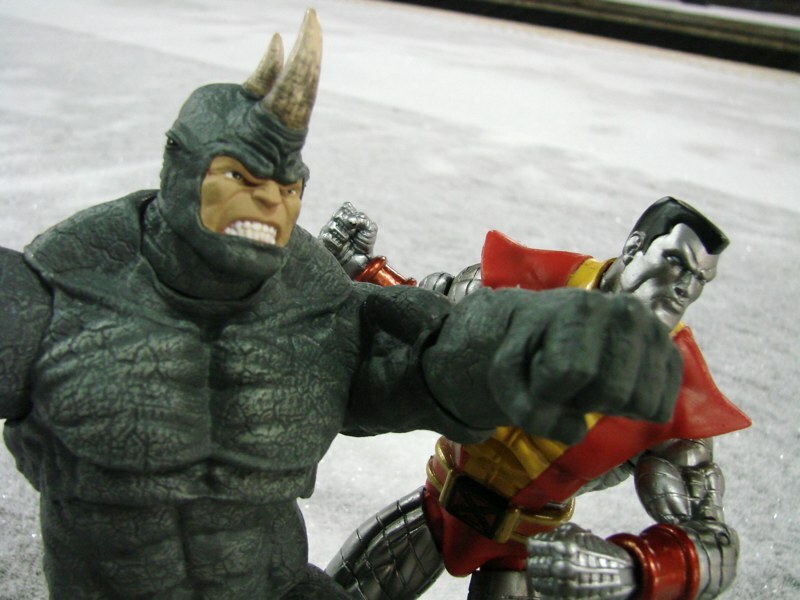 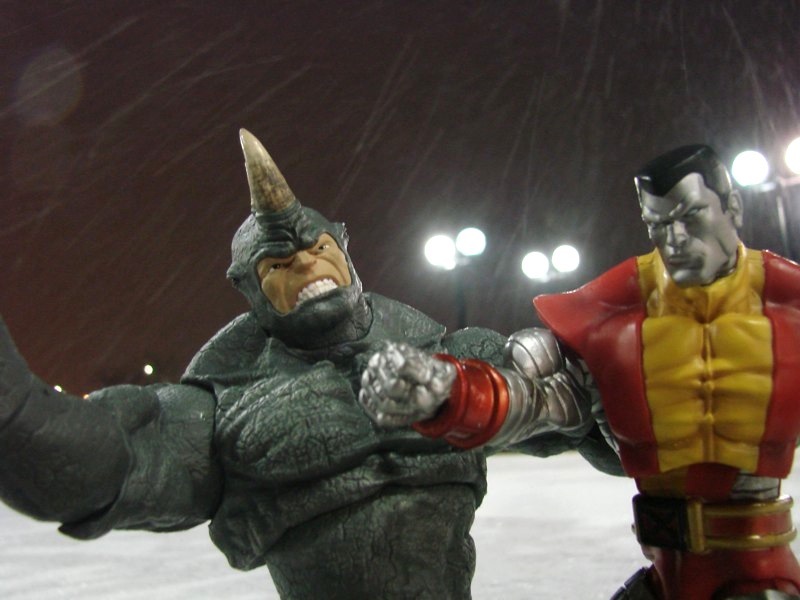 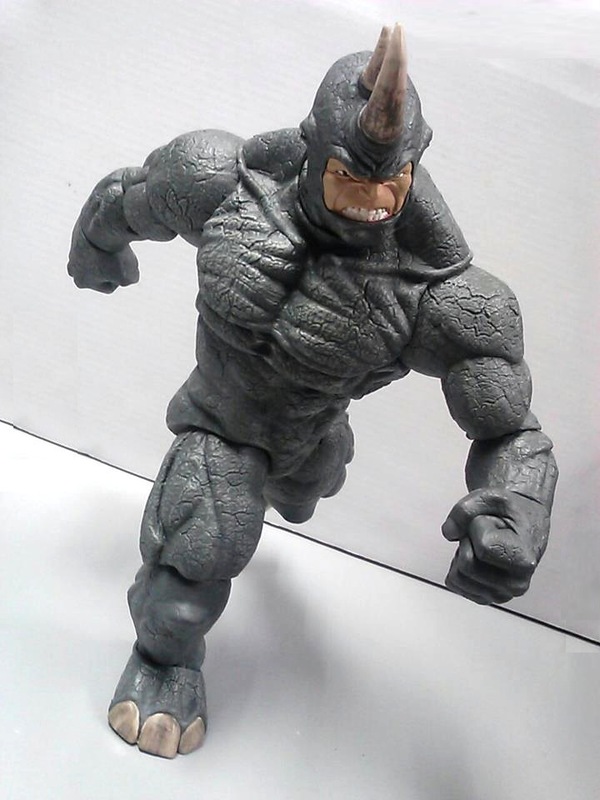 Nothing can stop the Rhino… from smashing into comic shops and specialty stores this week from Diamond Select Toys! 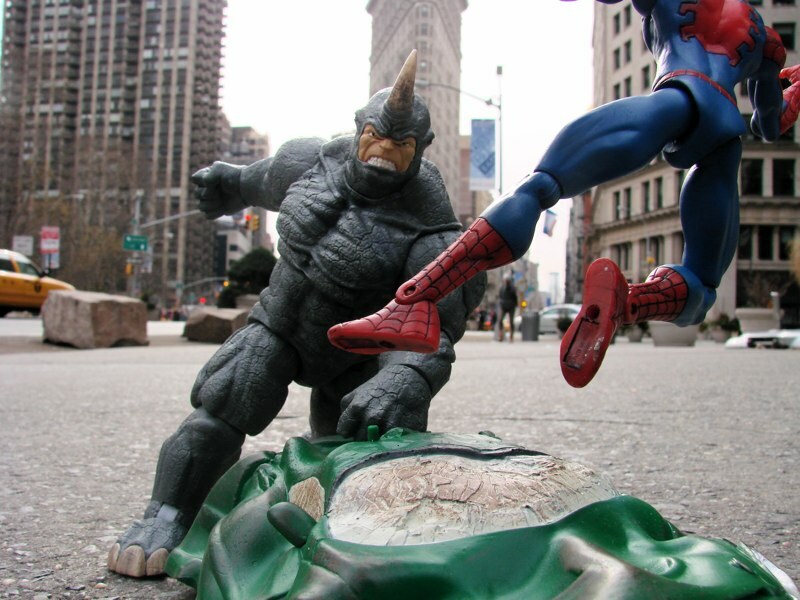 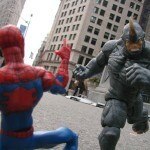 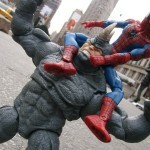 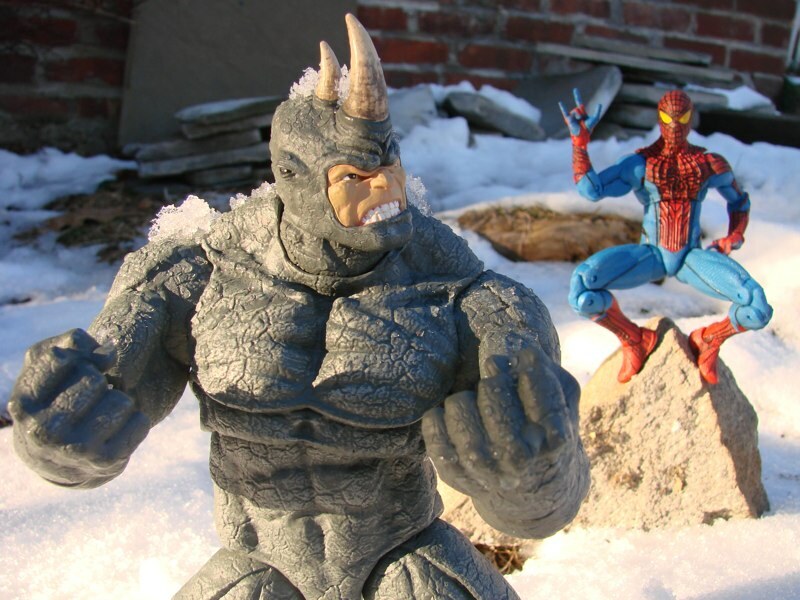 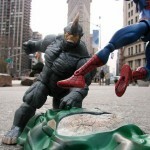 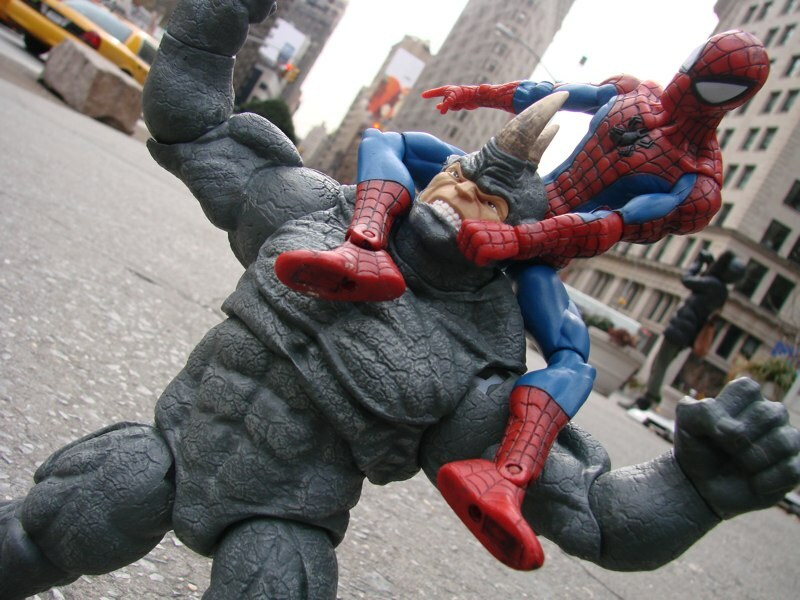 The new Marvel Select action figure of classic Spider-Man villain the Rhino stands 9 inches tall, so he’ll tower over Spidey and all your other Marvel Select figures. 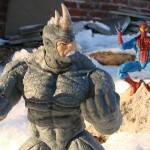 He also features 16 points of articulation, so you can get him in all sorts of dynamic poses. 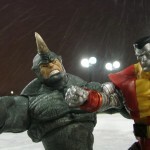 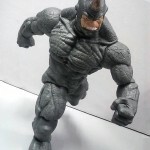 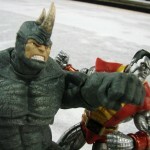 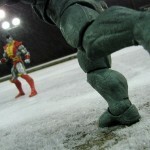 Whether you want your Rhino charging, goring, punching, kicking, wrestling or grazing, this is the Rhino figure for you! 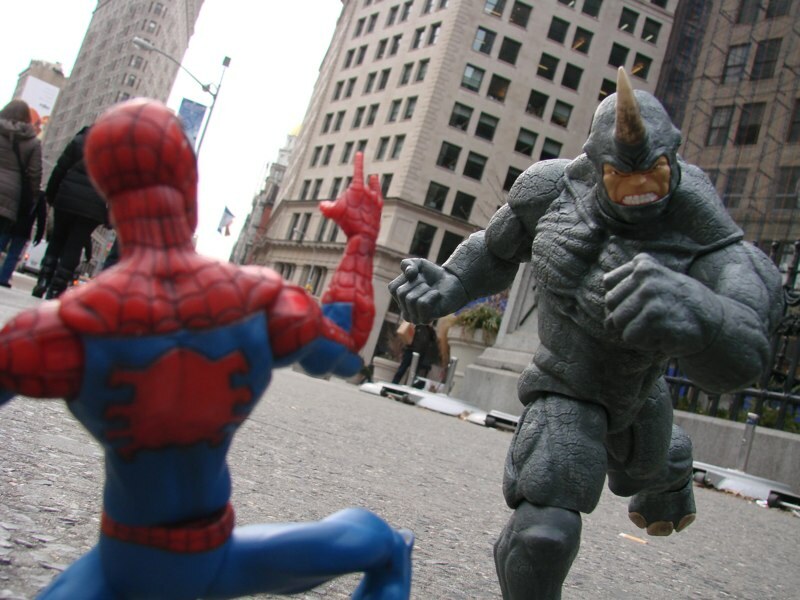 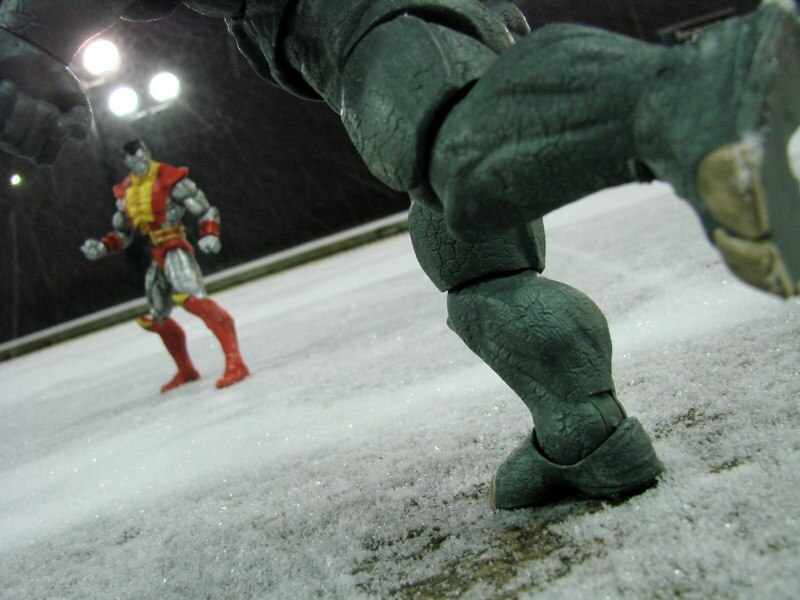 Check out these shots of the Rhino loose on the streets of New York, and reserve your figure today at your local comic shop or favorite online retailer!